If any people ever had “a faith to grow”, the Plymouth Congregation did. In its thirty-nine year history – since its conception as a mission organized on a Communion Sunday afternoon in September 1942 at the home of Frederick S. Moore on Adams Street in Plymouth, where twenty people (including eight children) met under the leadership of Detroit City Pastor, Elder D.O. Chesworth; to the present day, August 1981, when a Congregation of 324 look forward to an ever improving quality of worship, fellowship and outreach in its brand new building – The Plymouth Congregation has moved six times. In 1943, the Congregation having gown to twenty-seven decided to move their Sunday morning service to the I.O.O.F Hall. However, Wednesday evening prayer service was continued at the Moore home. Finally, the Plymouth Masonic Temple became available to both Sunday morning and evening services, so on January 1st, 1950, the Congregation of 42 moved to the Masonic Temple. Soon, there was talk of building their own church. Bake sales, roast beef dinners, bazaars ocurred at regular intervals and the zeal and enthusiasm of the Congregation grew. On December 14th, 1950 a Congregation of 73 held the formal opening of the first unit of the new Plymouth Church on Schoolcraft road at Bradner street. Here they enjoyed seventeen years of spiritual and physical growth along with good fellowship and considerable community outreach. In March of 1976, however, Plymouth once more was the victim of change when work on the Schoolcraft Expressway progressed to the point where the state of Michigan needed the church property, so the structure and property was sold. On April 1st, the Congregation of 299 moved once more into a public building, East Middle School on South Mill street in Plymouth, Sunday morning services were held and once again Wednesday evening services were held in member’s homes. It has been known for quite some time that such a move was imminent and a large tract of land bearing a farmhouse and some other buildings on Ridge road, south of North Territorial has been purchased on which to build a new Plymouth church as well as other development. The farmhouse was fairly large and with some renovation, it became adequate to accommodate the Plymouth Congregation until a new church was built. Therefore, on November 6, 1977, the Congregation of 326 held its first Sunday worship service at “The Farmhouse”/ Great joy and many blessings were experienced here where all facets of Church life could be activated. The Plymouth Congregation has enjoyed continuous blessings throughout it’s recent history. During our time we have experienced many wonderful spiritual experiences, baptisms, bake sales, weddings, special guests including Church Presidents, countless sermons and meetings. We are once again on the move. On April 6th, 2014, we held our last Communion Service at Ridge Road. Many people in the Congregation felt that the building no longer fit our ministry and mission. We are working on locating an appropriate location to continue our mission. This new building will make it easier for us to share God’s message with the community. 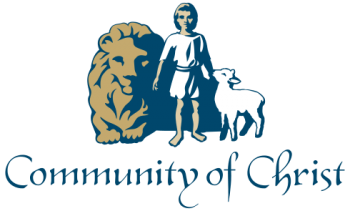 We invite you to help us as we set forth in the community and write a new chapter for our Congregation.